Choose to download as many free checklist templates as you like to print on your home printer using the ‘FREE Download’ links below. Each checklist fits a full piece of paper and can be used to create your daily ‘to-do’ list or to set up a routine checklist to be used over and over again. And if you enjoy using our free checklist templates consider saving time on printing them and money on color cartridges by purchasing a high quality checklist template pad! These designs won’t be found anywhere else – we’ve had them specially designed for CheckListables users! Visit our Shop to see all our pads or use the options below to purchase the pad versions of these. While browsing our store think about up-coming birthdays or special occasions requiring presents. 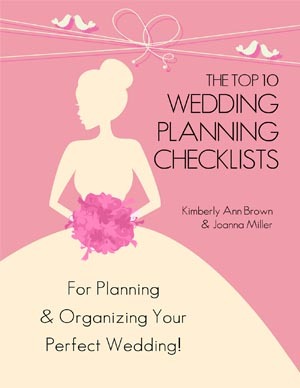 These checklist template pads will make great gifts. 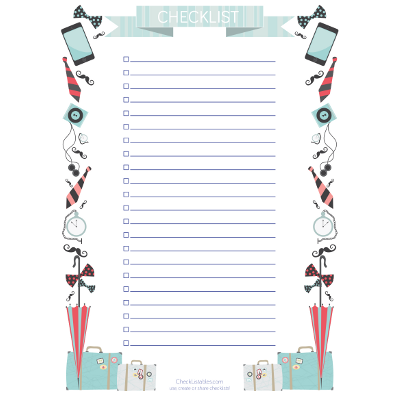 Our checklist pads contain 50 sheets, come shrink-wrapped and have a magnetic backing so you can stick it on your fridge door, in full technicolor of course! We know that they make great presents. If you are interested in getting a particular CheckListables checklist printed as a pad please let us know and we’ll see what we can do for you. Our intention is to create specific checklists pads that help with routine tasks. And hopefully the voting system on the website will help us determine the most popular checklists. The more votes we gather the more likely we’ll create a pad version.